Wisconsin German Shepherd Breeder Wisconsin Von der Stadtrand means the place from the outskirts of the city. Clayton Warichak the founder of Von der Stadtrand German Shepherds grew up with a love of animals. 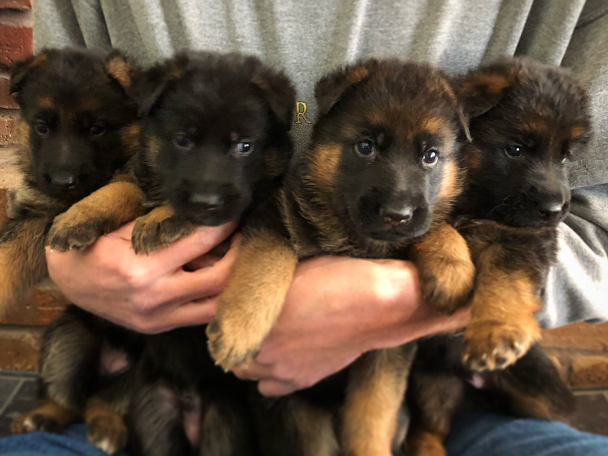 Von der Stadtrand German Shepherds are bred from the best German import bloodlines coming from both German Sieger Show and German Working Schutzhund lines. Our puppies are bred to have excellent health, great temperament, and superior intelligence. 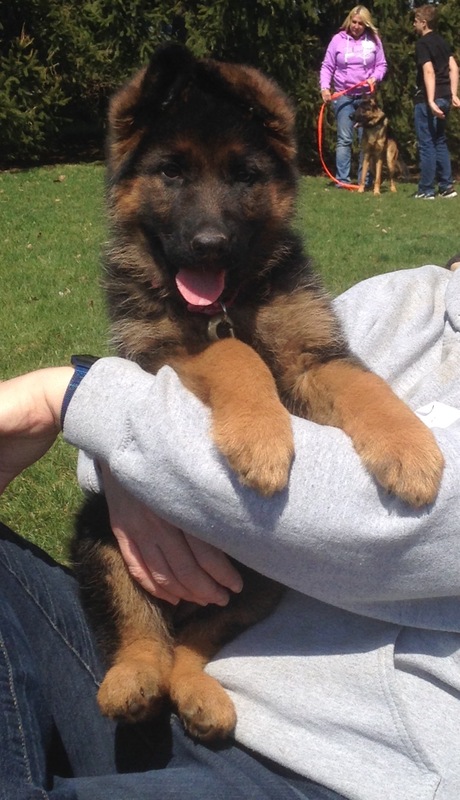 Breeder Clayton Warichak has been breeding Von der Stadtrand German Shepherds since 1992. The breed name "Von der Stadtrand" was registered with The United Schutzhund Clubs of America in 1994. German Shepherd Dogs have been a passion for Clayton Warichak starting at the age of 15. Clayton imported his first Schutzhund three male German Shepherd from Germany at the age of 16. Clayton is married to his wife Margaret and they have a teenage son, Seth. Clayton Warichak has been an active competitor in Schutzhund and Conformation shows for 20 years. Margaret and Seth are active in raising the puppies and also train their dogs in Schutzhund. As a teenager, Clayton Warichak had a vision for creating the perfect German Shepherd like those depicted in the movies. He wanted to create a dog that was loyal, loving, intelligent, obedient and would protect it's family. Clayton has created his vision of the German Shepherd in the Von der Stadtrand line. Von der Stadtrand dogs have the movie star good looks and perfect Rin Tin Tin temperament. If you are looking for a dog that can perform on an obedience field, join your family at the park, and turn heads as you walk down the street, then Von der Stadtrand German Shepherds are for you.